That's it! Halloween is over for yet ANOTHER year and we're so sad! But before we whip out our extra festive Mariah Carey christmas playlist, we should probably take a look back at all the costumes that your faves rocked this year, right? From Halsey's Halloween extravaganza to Brendon Urie's zero percent effort... this is Halloween 2016! Halsey, who didn't give a sh*t about the overpopulation of Harley Quinn this Halloween. Troye Sivan, who served you spooky jilted Bridal couture. Brendon Urie, who didn't even try. The 1975, who got their ENTIRE tour crew to dress up as Star Wars characters. Including Matty Healy, who went full Kylo Ren on stage. Ashton Irwin, who went to Halsey's fancy dress party as one of the characters from Reservoir Dogs. Luke Hemmings, who went to the same party as Mia Wallace from Pulp Fiction. Halsey again, who served you the fiercest looking Kill Bill Bride on the planet. Calum Hood and Ashton again, dressed as miserable Elmo and Oscar The Grouch. Emma Roberts, who went as... Tate Langdon? 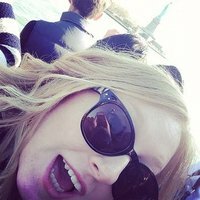 Amy Schumer, who bit the Stranger Things bullet but gender flipped it to perfection! GOT's Maisie Williams and Sophie Turner, who came dressed as Hash Brownies and left us GAGGING. Halsey AGAIN, finally confirming what we've known from day one... she is Eleven. 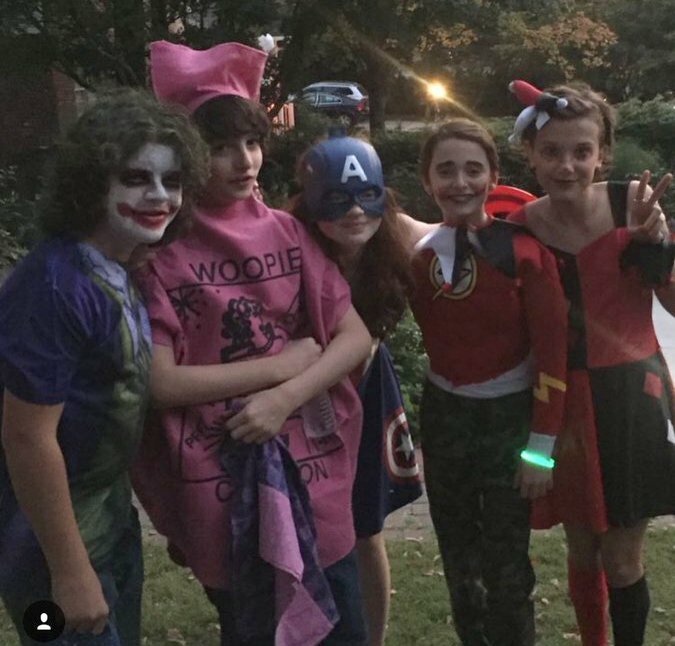 The actual kids from Stranger Things, who dressed as Superheroes... except Mike who went as a Whoopee Cushion. Jonathan Byers and Nancy from Stranger Things, who ditched Barb (AGAIN) to do The Wizard Of Oz with friends. Ariana Grande, who served incredible Moonrise Kingdom vibes with bae Mac Miller. Oh, and Evan Peters, who looks just as confused about his costume as we do! GOOD WORK, LADS! SEE YOU NEXT YEAR! QUIZ: How Much Of A Halloween Queen Are You?